If you have lived in or even visited Berlin, the chances are that you’re very familiar with the S- and U-Bahn but did you know that the German capital also once had an M-Bahn? The Berlin M-Bahn (short for Magnet-Bahn) was a Maglev, or magnetic levitation) train system, which is described in detail in this Wikipedia article. I’m a bit of a train and tram geek so I would have loved to have travelled on the M-Bahn but it was unfortunately taken out of service in 1991, long before I arrived in the city. The Monorail was conceived to provide an extension to the U-Bahn from the station Gleisdreieck to a new station Kemperplatz near the Berliner Philharmonie at Potsdamer Platz – a stretch that was no longer served by the U-Bahn itself since the building of the Berlin Wall. The foundation stone at Gleisdreieck was laid on 16 June 1983 and the first test journeys started in June 1984. 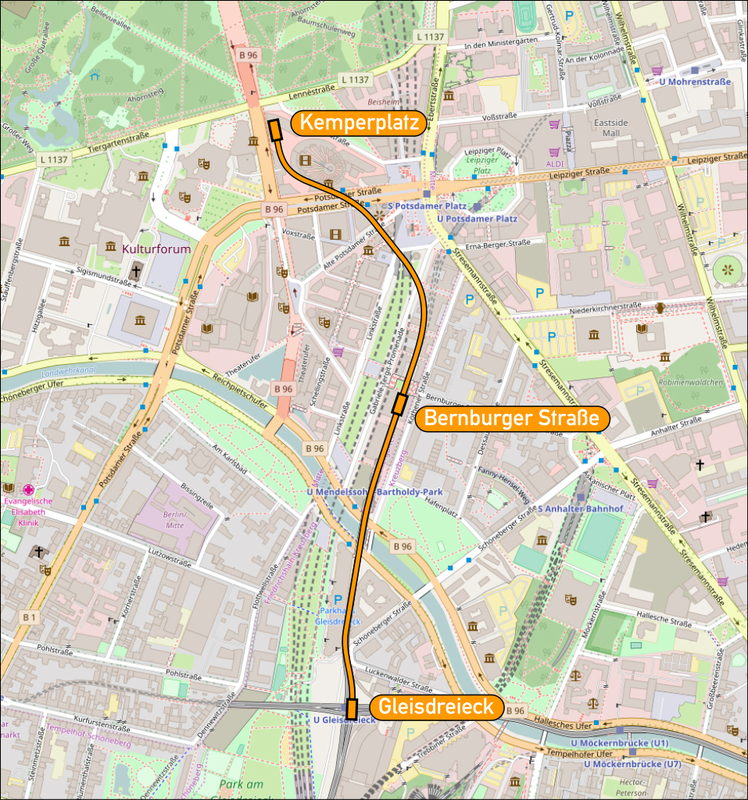 The driverless trains travelled along an approximately 1.6km stretch from the lower tracks of the U-Bahn station Gleisdreieck (now the U2) to Kemperplatz via the station at Bernburger Strasse (approximately where the U2 station Medelssohn-Bartholdy-Park is today). 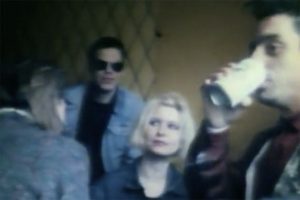 The testing phase was beset by problems, most notably an arson attack at the station Gleisdreieck in April 1987 that destroyed the original two trains and a serious accident at Kemperplaz in December 1988. A train, which was fortunately not carrying any passengers, travelling at higher than normal speeds overshot its stopping point and broke through the wall of the station, where it remained hanging, several meters above the ground. These issues were eventually overcome and the first passengers were carried (for free) in August 1989, although it wasn’t until 18 July 1991 that the M-Bahn was officially integrated into the transport network of the BVG for paying customers. Its life was short-lived. The fall of the Berlin Wall had marked the beginning of the end for the M-Bahn, as the elevated track between Gleisdreieck and Bernburger Strasse was needed to reconnect East and West Berlin via the U-Bahn line U2. The last trains ran just two weeks later on 31 July 1991. 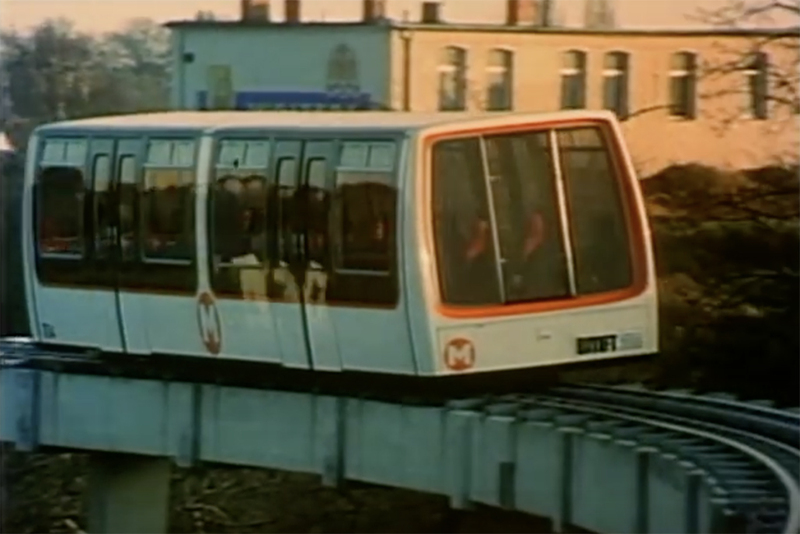 This corporate film from AEG and MAGNETBAHN GmbH shows the M-Bahn in use and provides more detail regarding this former Berlin transport option. 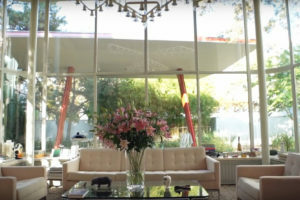 And here’s some bonus footage.